Brown Chiari / Rated at the highest level for ability and ethics / Tim Hudson, Esq. Mr. Hudson has experience handling personal injury cases involving construction site and labor law accidents, motor vehicle accidents, products liability matters, accidents on premises, medical malpractice, as well as railroad and aviation accidents. His litigation and trial experience includes matters of the highest profile and complexity, including aviation disaster trial experience, multidistrict litigation, as well as securities fraud arising from the collapse of Enron. He has litigated novel tort issues, including claims for medical monitoring and toxic exposure as injury, in several different jurisdictions. He has extensive appellate experience, including appeals to the New York Court of Appeals. 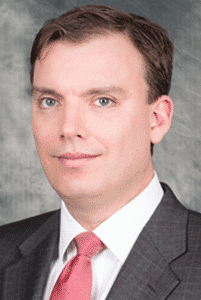 Mr. Hudson has experience litigating cases throughout the federal and state courts of New York, and Ohio (inactive). He has conducted investigations, including criminal investigations, while associated with a leading white collar criminal defense firm. He is a member of the New York State Trial Lawyers Association and the Erie County Bar Association. Mr. Hudson served as a federal judicial clerk to the Honorable Eldon E. Fallon, U.S. District Court for the Eastern District of Louisiana. Mr. Hudson is a Phi Beta Kappa graduate of the College of William and Mary, and the Duke University School of Law, where he served as Articles Editor for the Duke Law Journal and was a member of the school’s Moot Court Board. Mr. Hudson’s reported decisions include Saint v. Syracuse Supply Co., 25 N.Y.3d 117 (2015).